The symbol of hope and prosperity in Eastern cultures, the almond used to be known for its fat content but has now made its way to the top of power-food lists. This nutrient-dense tree nut -- from the same family as peaches and apricots -- has become best known for its many health benefits. Eating a handful of almonds a day may lower LDL ("bad") cholesterol and reduce your risk of heart disease, heart attack, and diabetes. These tasty tidbits are also an excellent source of vitamin E (a powerful antioxidant) and manganese -- 1 ounce (that’s about 24 almonds) has 35% and 32% of the RDA respectively. 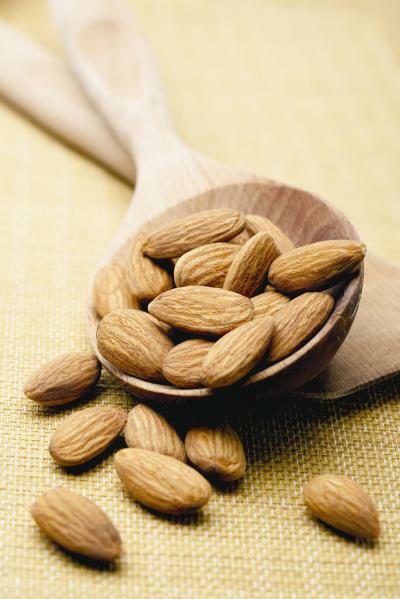 And with only 1 gram of saturated fat, 13 grams of healthy mono- and polyunsaturated fats, 6 grams of protein, and 160 calories per ounce, it's clear that almonds are a friend of any true health nut.